Beer Scented Candle Amber Lager. 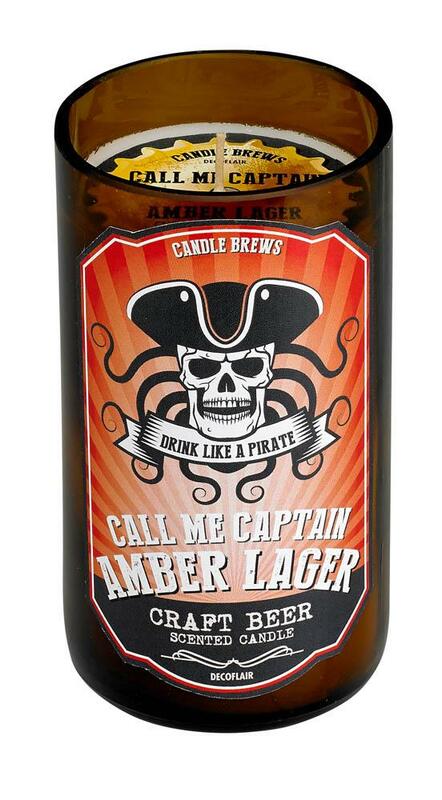 The Call Me Captain Amber Lager scented candle is a great gift for any beer lover, offering dark good looks and a malt and hops-centered scent. The Amber Lager scent opens with toasty malt and fresh hops, perfectly balanced with orange, sweet amber and honey. All followed by violet, sandalwood, rosewood and a hint of cinnamon. Burn time: up to 50 hours. Soy blended wax. 2.75" x 2.75" x 5"